Opened in 1977, Ocean Park Hong Kong is a marine-life theme park featuring animal exhibits, thrill rides and shows. 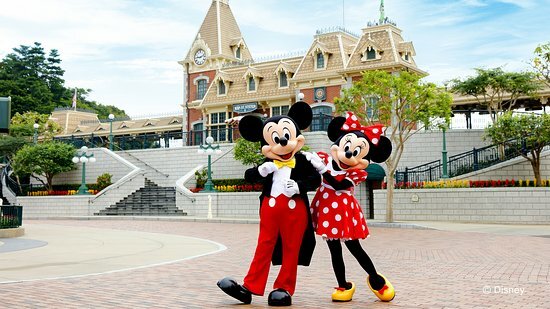 In 2012, its impressive ability to offer guests a world-class experience that blends entertainment with education and conservation was confirmed when it became the first Asian winner of the biannual Applause Award, the most prestigious award in the amusement and theme park industry. You can never be sure what mysteries will be unlocked during your visit to Mystic Point Hong Kong Disneyland’s latest and exclusive attraction. This summer, Lord Henry Mystic, an eccentric explorer has graciously opened his home to everyone. 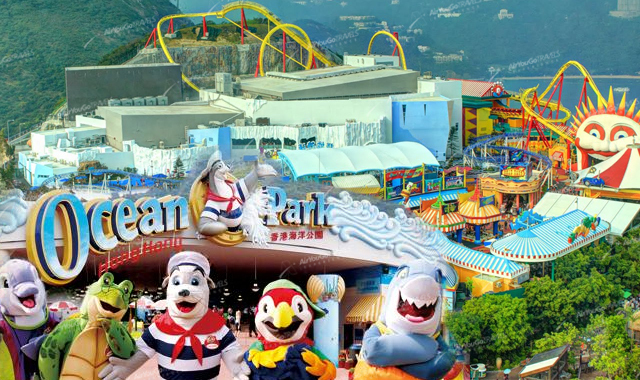 Opened in 1977, Ocean Park Hong Kong is a marine-life theme park featuring animal exhibits, thrill rides and shows. In 2012, its impressive ability to offer guests a world-class experience that blends entertainment with education and conservation was confirmed when it became the first Asian winner of the biannual Applause Award, the most prestigious award in the amusement and theme park industry. The park is located on the southern side of Hong Kong Island, covering more than 870,000 square meters. The Waterfront and The Summit areas are connected by the Cable Car and Ocean Express funicular train. You can never be sure what mysteries will be unlocked during your visit to Mystic Point Hong Kong Disneyland’s latest and exclusive attraction. This summer, Lord Henry Mystic, an eccentric explorer has graciously opened his home to everyone. Here, visitors can ride in his latest invention, the ‘Mystic Magneto-Electric Carriage’, to view his acquisitions from around the world. 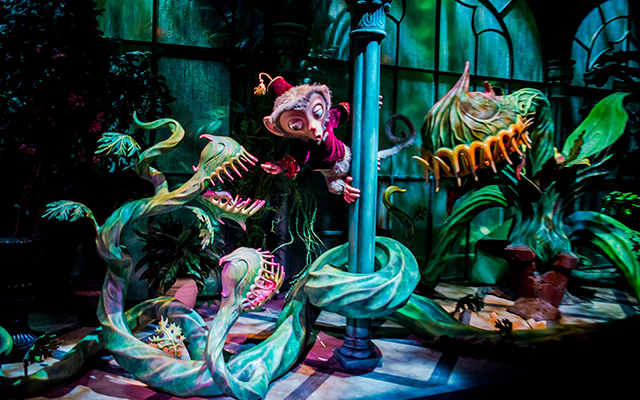 At Mystic Point, you can’t always trust your senses. Discover for yourself what is real and what is not! Grizzly Gulch takes guests on an entirely new and original experience which has been developed exclusively for Hong Kong Disneyland. Board the Big Grizzly Mountain “Runaway Mine Cars” and embark on an out-of-control runaway journey throughout a spectacular and amazing wilderness landscape. Join in the soakingly good merriment in Geyser Gulch, and complete your exploration with the fascinating Grizzly Gulch Welcome Wagon Show and endless Wild West photo fun. Watch out for the mischievous grizzly bears and tricky water hazards! Location, – Hong Kong has it good! Within easy reach of Asia’s world city are some of China’s most fascinating destinations; where an ethnically diverse, historically rich and naturally beautiful part of the world awaits. Taoist temples and Edwardian edifices nestle between skyscrapers, people trade on international markets and light incense to Bodhisattva, and vestiges of Chinese clan heritage and European colonial history sit side by side — discover the people and places that shaped Hong Kong. Hong Kong has it good! Within easy reach of Asia’s world city are some of China’s most fascinating destinations; where an ethnically diverse, historically rich and naturally beautiful part of the world awaits. 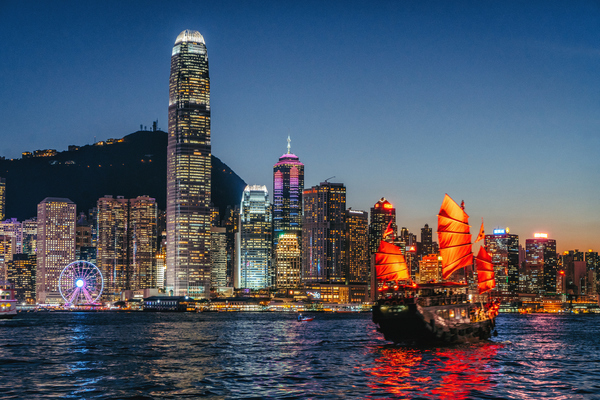 Taoist temples and Edwardian edifices nestle between skyscrapers, people trade on international markets and light incense to Bodhisattva, and vestiges of Chinese clan heritage and European colonial history sit side by side — discover the people and places that shaped Hong Kong. 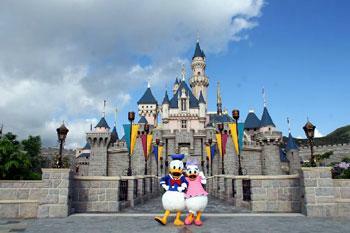 Hong Kong Disneyland – Mystic Point .